Another one of my sketches with Hilda Otejekker, rendered with ink and diluted wash.
Just another drawing I did with Hilda. 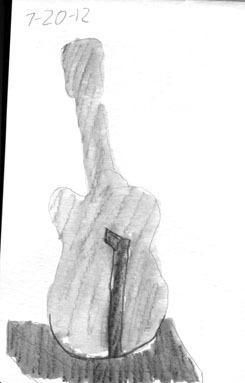 Another drawing with diluted ink and wash.
You have nothing to worry about, readers. Hilda is a fictitious character so she cannot get lung cancer. 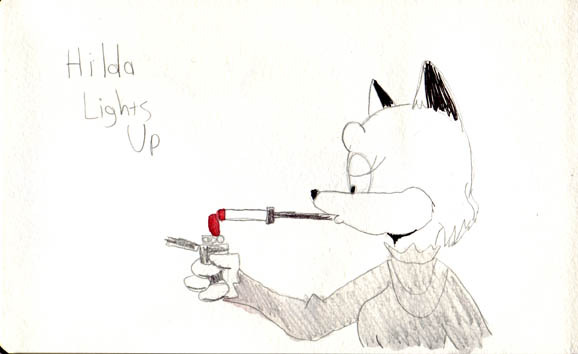 Hilda usually uses a cigarette holder when she smokes. 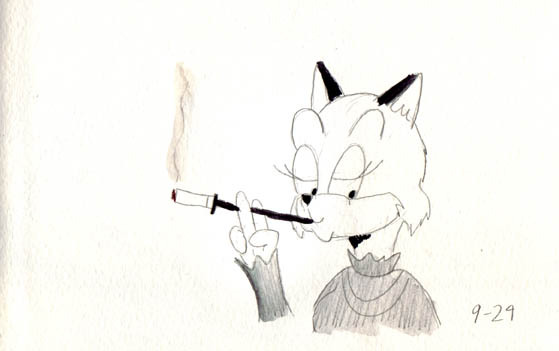 She prefers expensive fashion cigarettes. 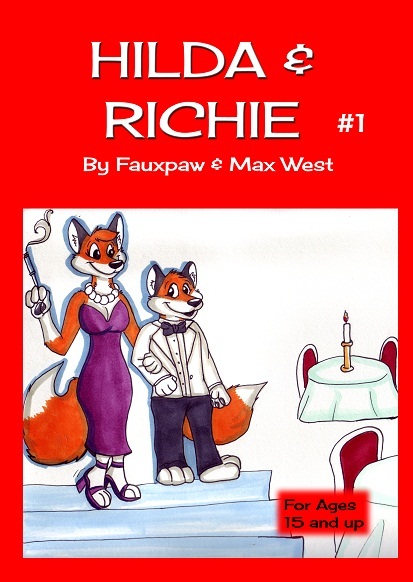 Hilda and Richie Number 1 now for sale! Hilda and Richie Number 1, my experimental comics digest, is now available for sale on Indy Planet! Just a warning: the content in this digest is for older readers as it can get raunchy. There’s some adult content, profanity, and use of alcohol. Here’s another sketch I did while in Austin, Texas. I found this while walking on Congress Avenue. So I whipped out my Moleskine watercolor book, sketched it and added in diluted ink with watercolor. Time for another sample drawing from the Moleskine sketchbook I brought to Texas – this was also drawn at the Texas State Capital grounds. The grounds of the Texas State Capital were so beautiful. There were plenty of commemorative statues and plaques as well as many trees. Those trees were full of squirrels. 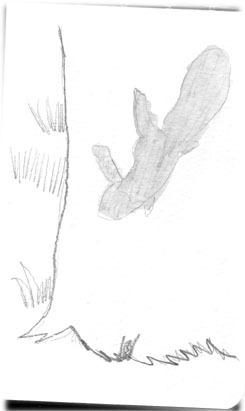 Using my pencils, I quickly fired off a sketch of a squirrel clinging to one of the trees. The diluted grey ink was added later. I thought I’d share another piece from my Moleskine watercolor sketchbook. This time, it’s of Hilda Otejekker and yes, it’s another bikini image. The water and Hilda’s inflatable pool mat there are diluted paint. I used Derwent brand watercolor and Inktense pencils but pressed lightly on them. The pink pool inflatable toy Hilda is reclining on? That’s actually red Inktense pencil – I just used a light pressure and water to dilute the pigment for the pinkish color. Everything else was enhanced with pencil and a Uniball pen.